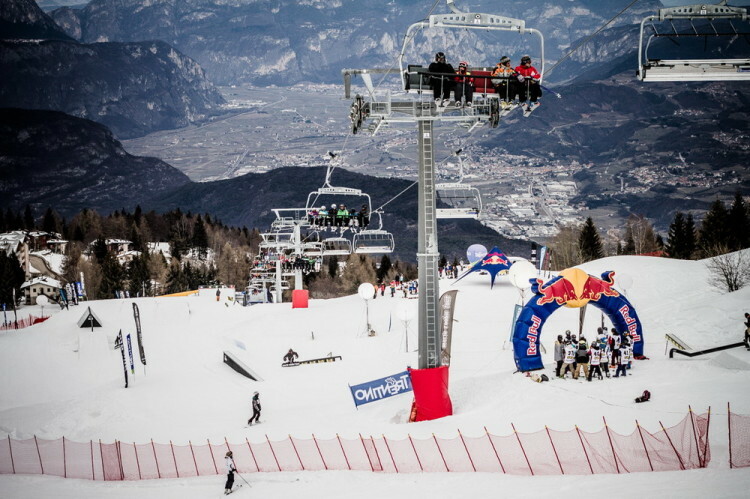 The 4th edition of Trentino Rookie Fest starts: the international freestyle snowboard contest loved by all under 18 riders, this year has reached the highest number of participants from its very start in 2012. 85 snowboarders from 14 nations, from the icy Scandinavia to the glaciers in Patagonia, are now meeting up at Snowpark Monte Bondone in order to show everyone future pro riders’ skills! Five days and a new enriched program full of activities, not only sporting but also cultural, to allow the young travellers know the magical atmosphere featuring Trento. In line with the program, this morning the slopestyle trainings were carried out for the four categories: Grom Female, Grom Male, Rookie Female, Rookie Male. The agonistic level is fulfilling the expectations created during the previous stages of World Rookie Tour: with spectacular tricks, the guys are showing once more how freestyle snowboarding is going forward quickly. Among the ones who outstood today, the Dutch team deserves to a mention. The competition at Trentino Rookie Fest is also focused on friendship, with the most fun Bob Race and Cash for Trick. 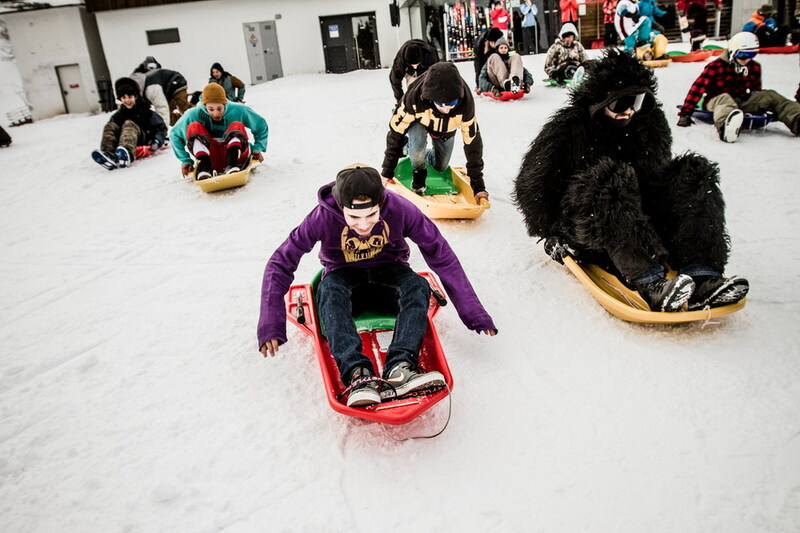 The Bob Race is the speed contest for bobs rushing down the slopes of Monte Bondone, where the guys shivered while challenging the Black Yeti! With epic scenes and some rolling falls, riders gave their best also in a harder discipline than usual. 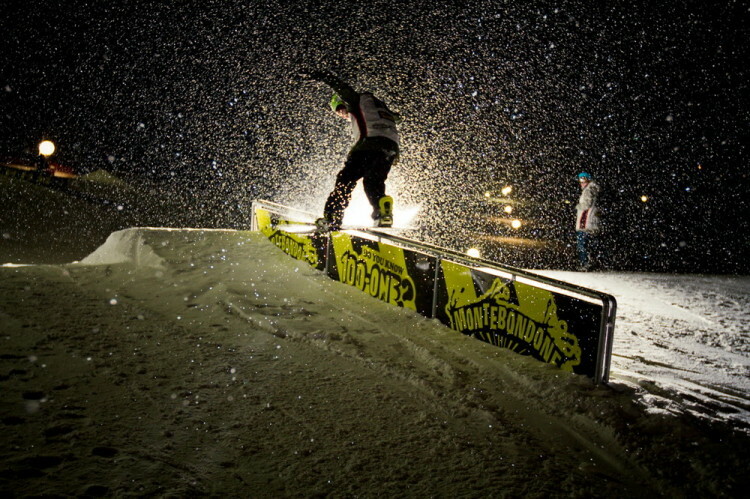 The night was dedicated to the street top speciality of freestyle, with a format always appreciated by the participants. 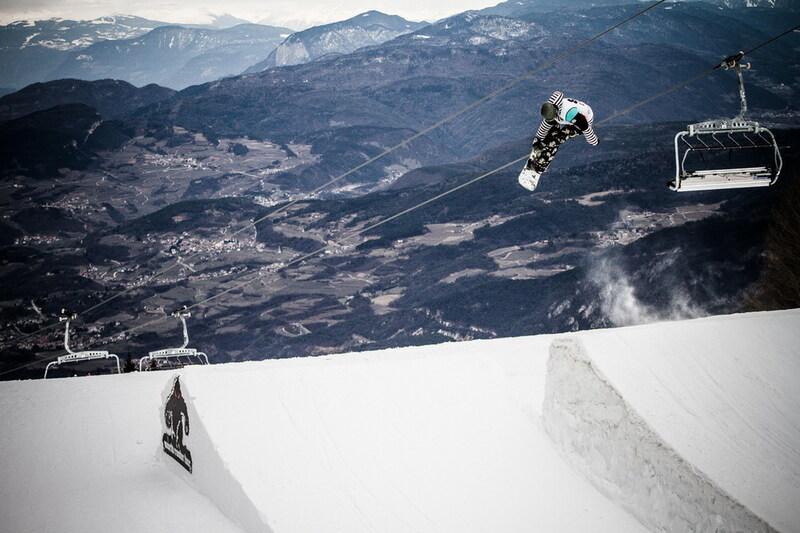 The Cash For Trick is a very special rail jam session, for every trick is € 5 valuable! Among the best tricks of the night 50-50 transfert 50-50 on the triple rail, 270-in back side lip, back side lip 270-out, all awarded by cash and gifts from the local sponsor 100-One Snowboard Shop. Moreover this weekend the DC Trentino Kids Camp will be dedicated to who is not competing, from 6 to 16 years: 2-days freestyle snowboard lessons both for beginners and advanced. All during the finals of Trentino Rookie Fest: a unique opportunity to improve snowboarding level and watch the most famous youth freestyle contest worldwide! The winners will earn prestigious awards: 2 all-inclusive tickets for the Volkl World Rookie Finals 2015 in Ischgl and 2 for the Trentino Rookie Fest 2016 in Monte Bondone, 2 tickets for the Rookie Shooting in Corvatsch at the end of the winter season, surf camp in Spain by Surftolive.com and many other prizes offered by the sponsors. All the athletes on the podium will be qualified for the Volkl World Rookie Finals 2015 and the event will give out points for the TTR Pro Snowboarding and for the World Rookie Rank. ABOUT THE WORLD SNOWBOARD FEDERATION. The World Snowboard Federation (WSF) is the international organization exclusively working to develop the sport of snowboarding at all levels. Program areas include: competitions, Para-Snowboard, judge and shapers, education and certification, and snowboard activities for riders of every age. The WSF represents a network of National Snowboard Associations (NSAs) who work together at a worldwide level to promote the development of snowboarding. NSA members can find a source of inspiration and support from the WSF for the activities they are conducting within their nation and by working towards the same goal: progression of snowboarding from the ground up. The WSF collaborates with the TTR Pro Snowboarding, the owner and operator of the TTR World Snowboard Tour and the TTR World Ranking System. Through this collaboration and coordination of events at the TTR World Snowboard Tour, The WSF and the TTR want to create an environment that fosters the development of competitive snowboarding. In February 2012, the WSF and the TTR hosted the inaugural World Snowboarding Championships in Oslo, Norway, an elite level event to be held every four years in alternating cities around the world. Official website: www.worldsnowboardfederation.org. About TTR Pro Snowboarding and the World Snowboard Tour. TTR Pro Snowboarding strives to promote competitive snowboarding in representing the interests of a professional network of events, athletes, national sport associations and industry partners. A Non-Profit organization, TTR Pro Snowboarding owns the World Snowboard Tour, the World Championships of Snowboarding in partnership with the WSF, and the global ranking system – the World Snowboarding Points Lists (WSPLs). Through TTR’s four-tiered tour structure, it encourages, develops and supports rider progression from rookies to world-class athletes, where the Elite level, WST Pro Series events are the ultimate pinnacle of snowboarding.